I have to apologise because the photo Christmas Old Town Square was from the last year. For my last walk I took my camera with me and in next few articles you can see real atmosphere of Prague Christmas in December 2005. 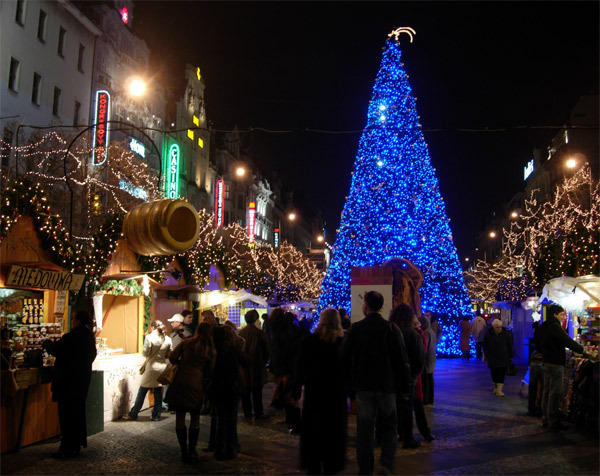 The first is Christmas tree in lower end of the Wenceslas Square which took this year blue cover. Posted: Praha, Dec 17, 13:17 by Czech-man.